LoneStar Icelandics (Icelandic Sheepdogs), of the site http://icelandichorse.us/ If you see no borders (top or left),click here. 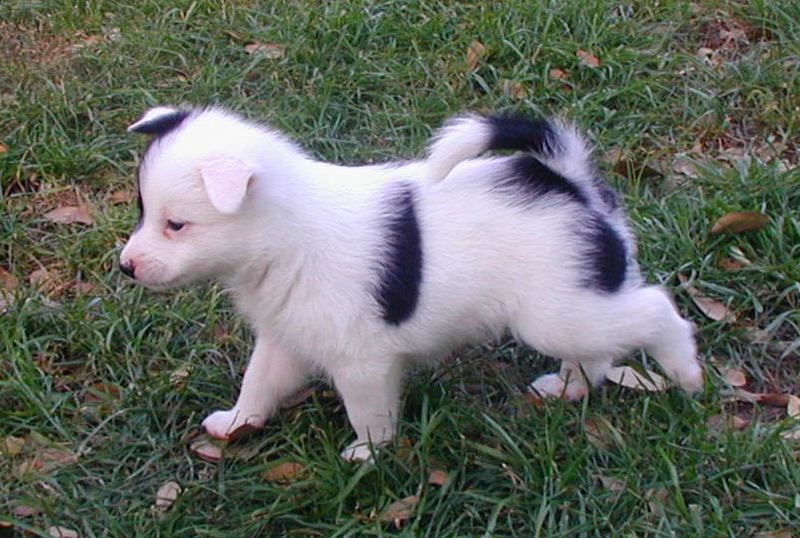 Prices for Icelandic Sheepdogs are generally between $1,000 & $1,500. prices on these are below that range. Prices are for the dog/puppy only and do not include shipping or crates. Dogs/Puppies will only be given up to good loving homes, no exceptions. 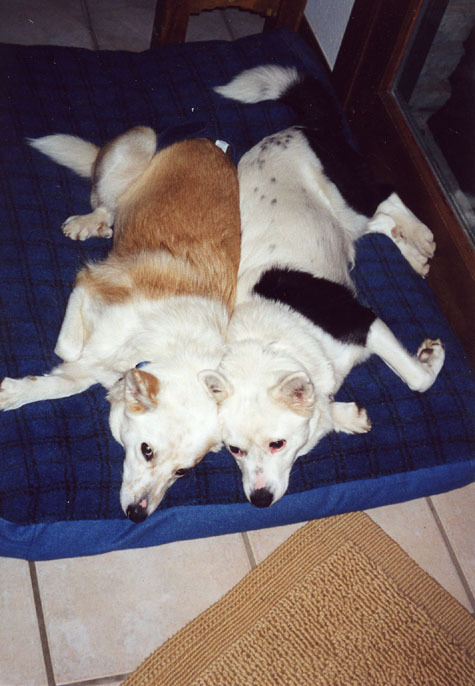 Click here to read some of the history of the Icelandic Sheepdog. 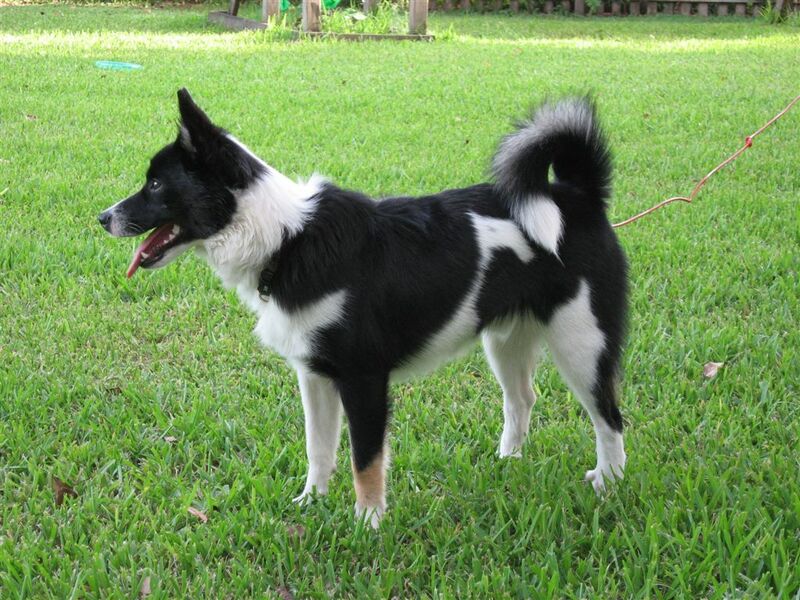 Click here for pictures of Panda & Laki's SIX Three young dogs. Laki & Panda's litter has arrived. 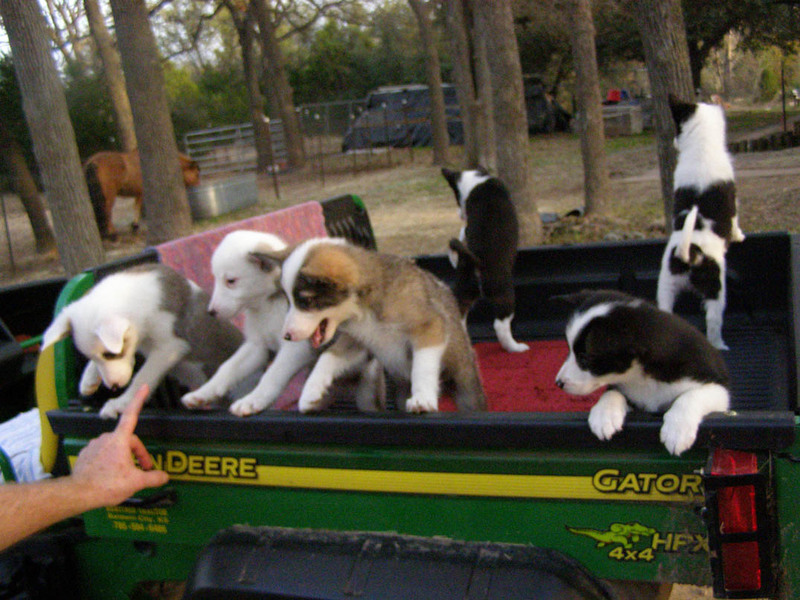 These six puppies are also ready for their new homes. Call for details. 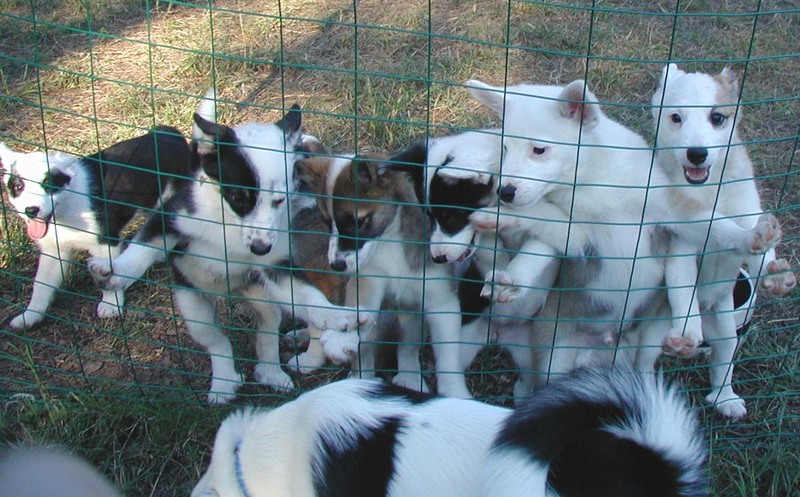 Of the Six Puppies, four are males and two are females. This will be Panda's last litter. Only 3 young dogs of this litter are still available. What to expect from this litter? Here's an example, Galsi! Galsi is today, as he always has been. He's just a "Happy Boy!". He jumps up on my recliner, lays on my chest and licks my nose. Click here for more pictures of these SIX NEW puppies. 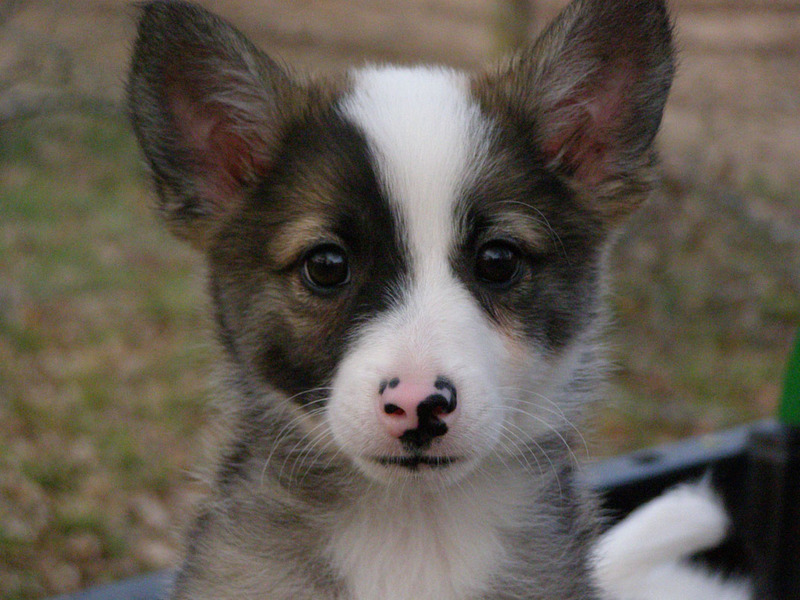 This is Panda, a short haired Icelandic Sheepdog. 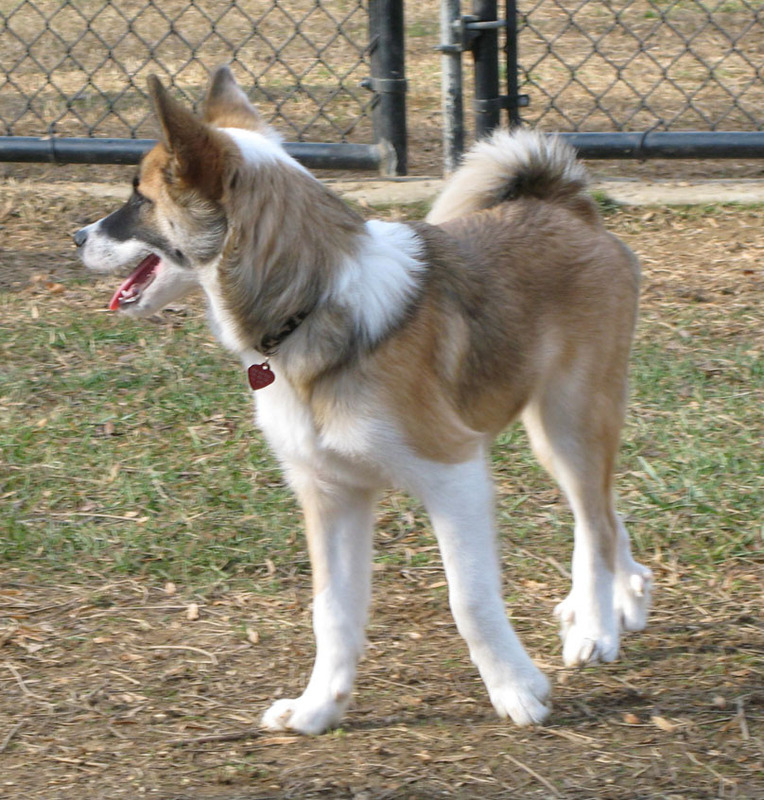 Of the three types, she is perhaps the rarest, a short haired long legged hunting dog. She has demonstrated that she can track very well while in Colorado. Panda has long fangs, such that they pass completely beneth her lower jaw. Panda is tall and long legged for an Icelandic female. weighs between 35-38lb. She is totally fearless, an alpha female type. She loves belly rubs and is quite affectionate. 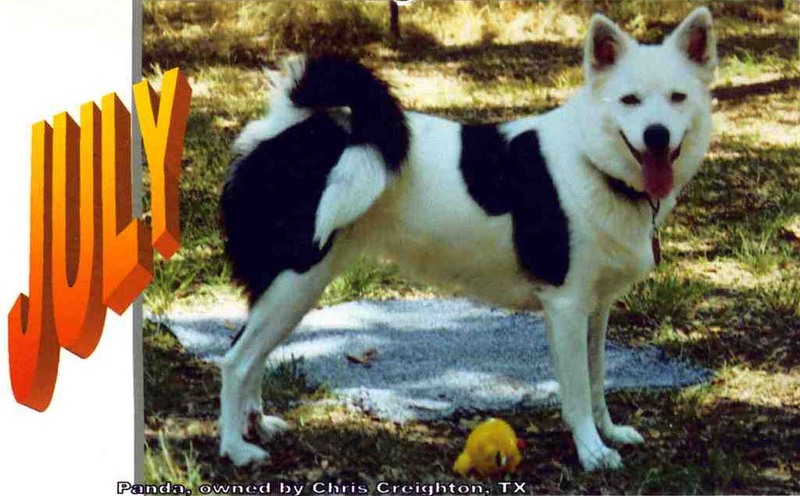 She was the first Icelandic Sheepdog in the state of Texas (1999). 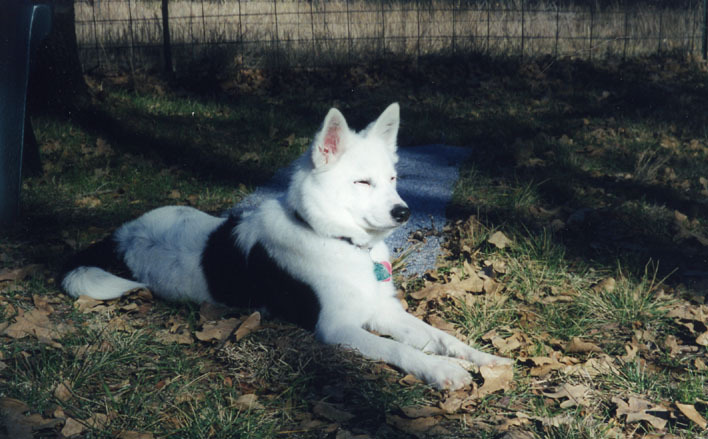 Rosie was the second (2000). Rosie and Panda, half sisters. Both are short haired. She is the sweetest, most loving dog I have ever known, and totally blissful. She weighs about 36-38lbs most of the time. 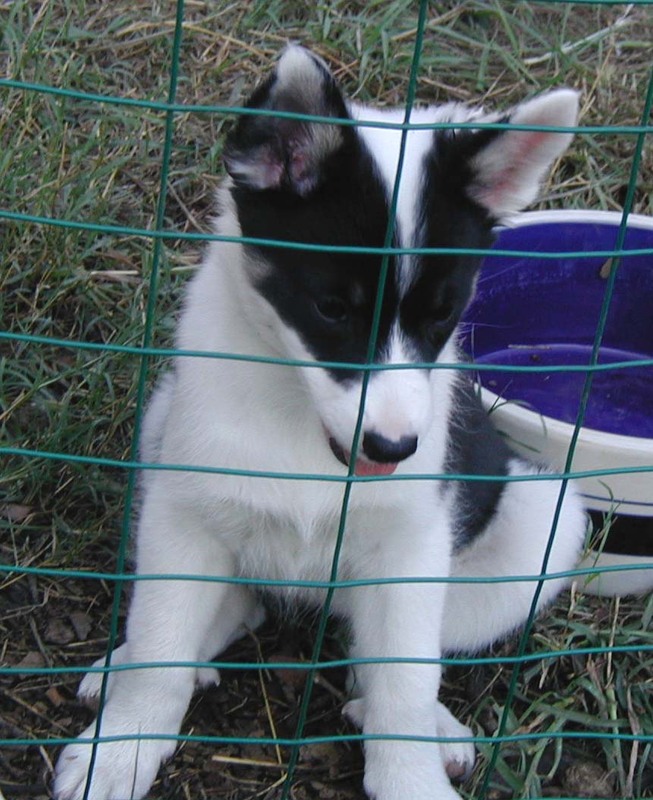 Laki, a young male (born 9/05) arrived from Canada, March 28th, 2006. Auðurs Laki, a new family member. and still eatting puppy food, as he burns it all off. His legs are so strong, it's like he defies gravity and he's very fast. Only Alushka can almost keep up with him. She's like a bullet. That's not quantitative, but cute. "The median DI for this group is 0.50." 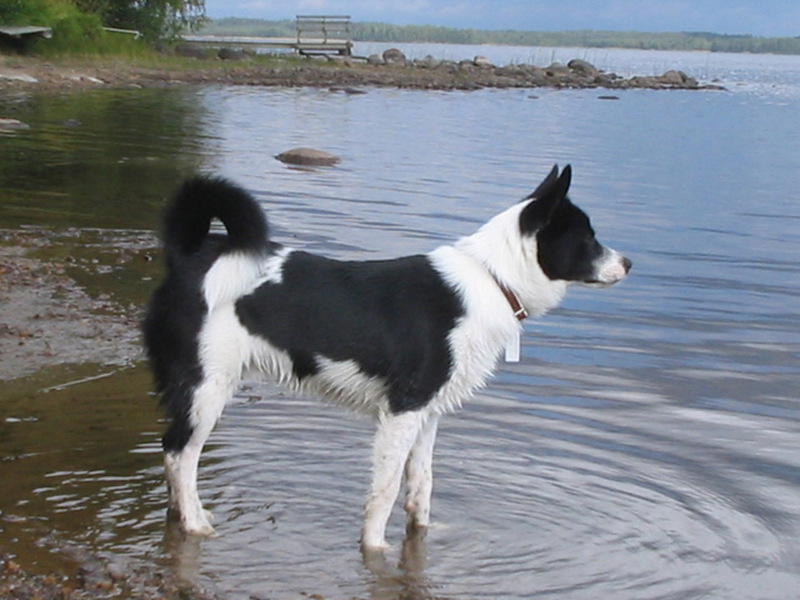 "in relation to all CANINE animals of the ICELANDIC SHEEPDOG breed in our database. 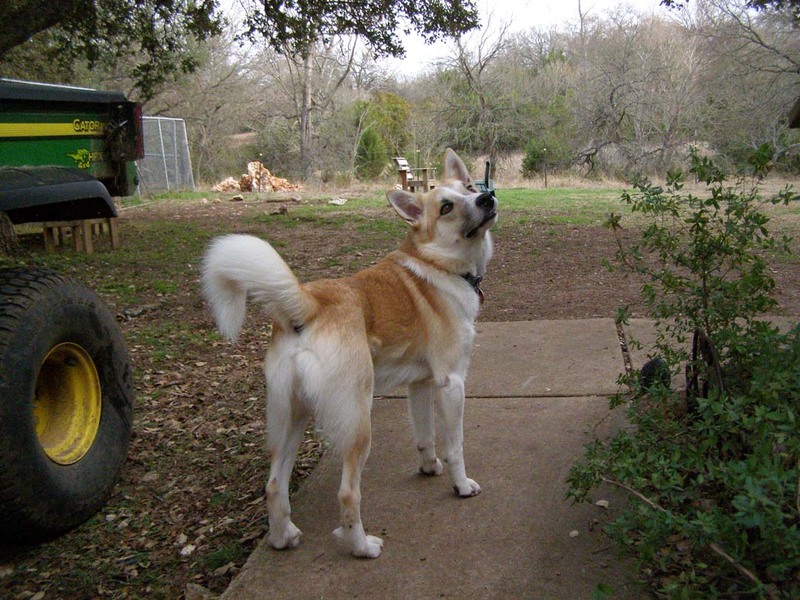 this group of animals (alternatively, 0% of the group has tighter hips than your animal),"
Interpretation: Laki is one of the tightest Icelandic Sheepdog that PennHIP has evaluated!!! 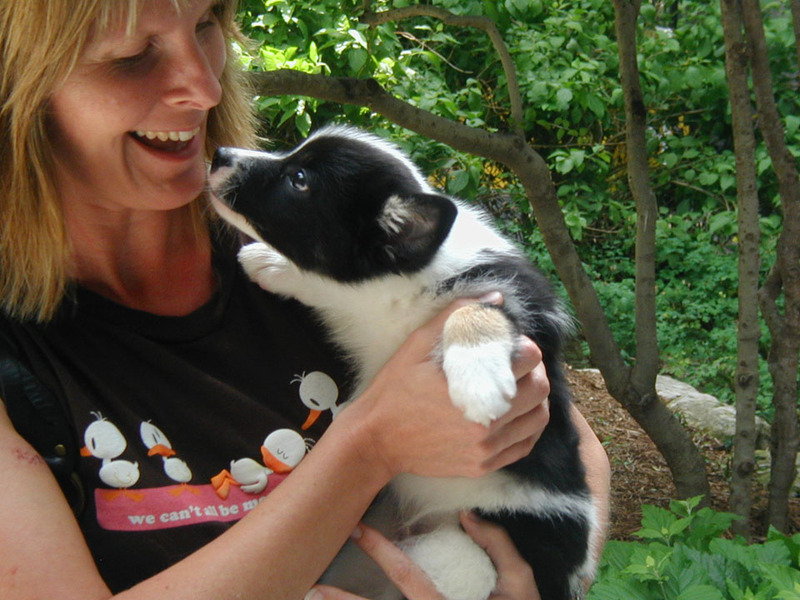 Puppies will only be sold to both good homes and honest people. a puppy. All sales will be accompanied by a written contract. 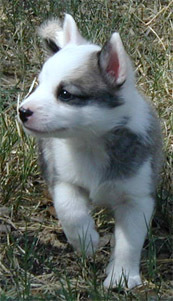 who are looking to acquire one of these very special dogs. No dogs, other than ours, will be brought upon our property. Thank you. Pictures are posted. NONE are now left. For individual pictures, please click on the following links of each puppy. Taken: Tappi (little one) - Red/White/Black male - Happy at his new home in Maryland. More of Soti's transformation to a more sable shade ... what sweet/tender eyes! a little over five months old. "I especially like their soft rumps! 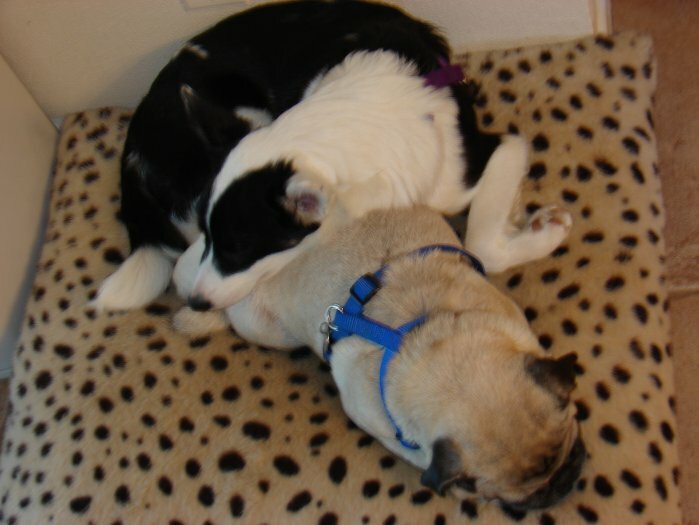 Sometimes you have to turn them over, but luckily Pugs are one of the few dogs that can sleep face down!!!" 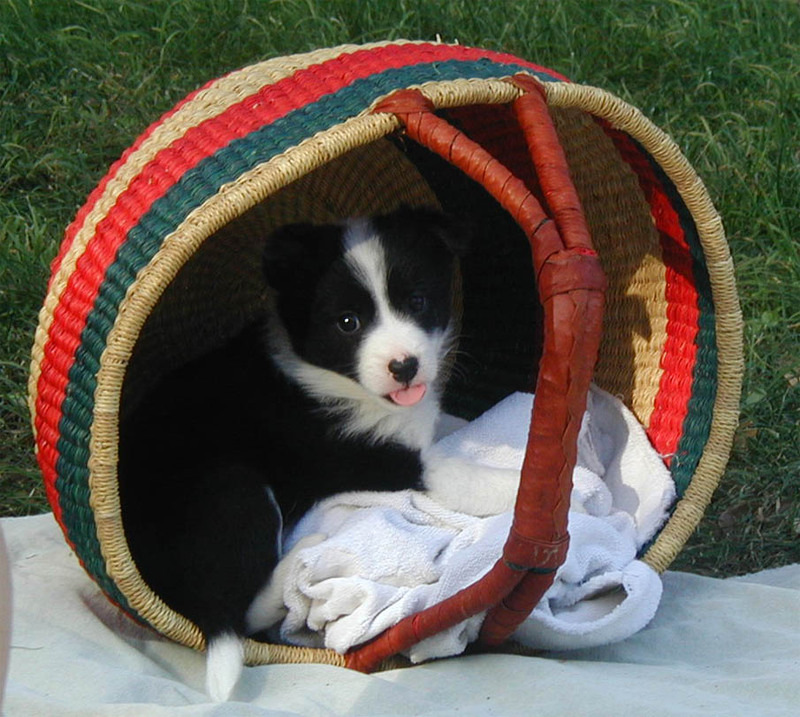 Panda's puppies (first litter), NO longer available. Second litter is coming!!! one a harmonious blend (Orka, male). Picture taken with they were but an hour or so old. Four Puppies are available to a good home. The official count is two females and three males. 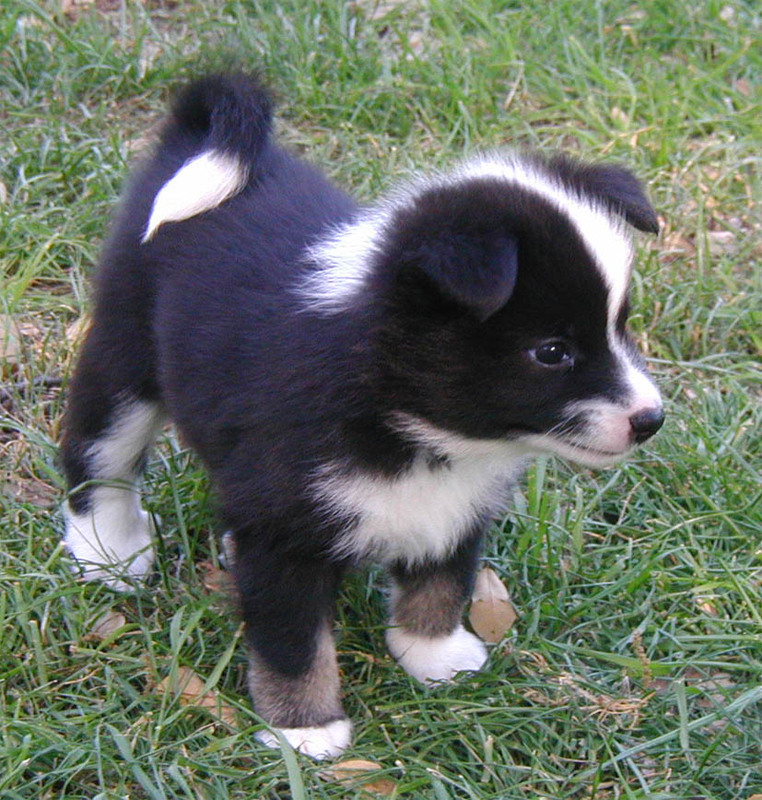 For individual pictures, click on the following links of each puppy. More pictures will be posted periodically. Kira - black & white female - Sold . Gone to Finland. Krunur - white & black Pied male - Sold . Gone to Finland. Alushka - white & black Pied female - Not Available. Staying with breeder. 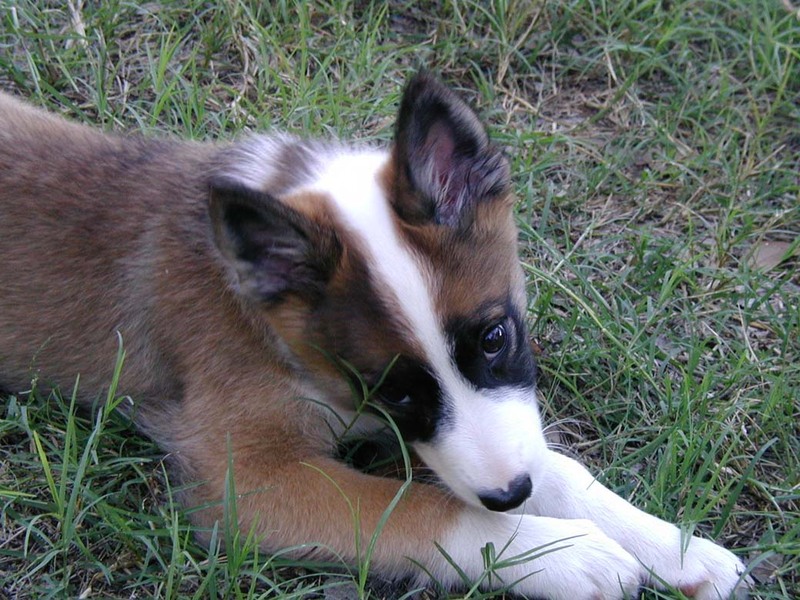 Ansel has a sweet personality & looks quite a bit like his dad Kari, definitely a tri-colored puppy. 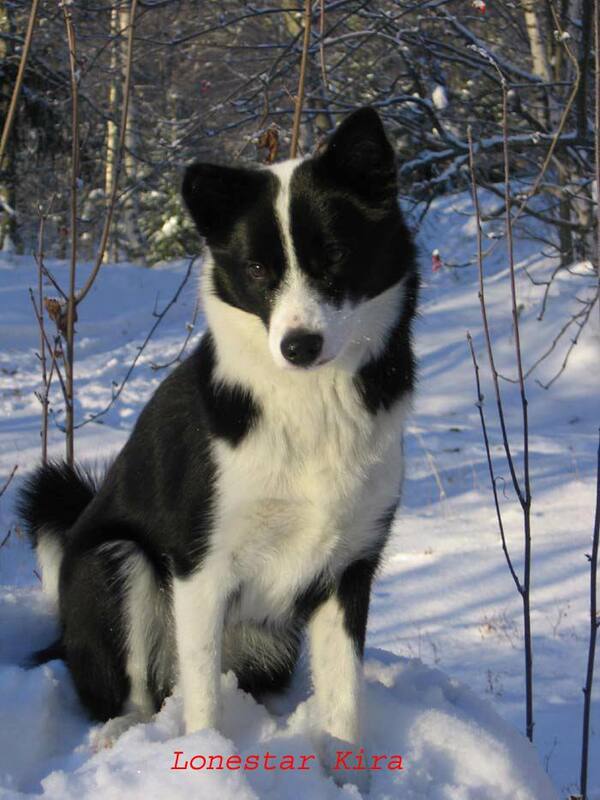 LoneStar Krunur, now in Finland ... what a pretty boy!!! cooling off, as it was about 100F. 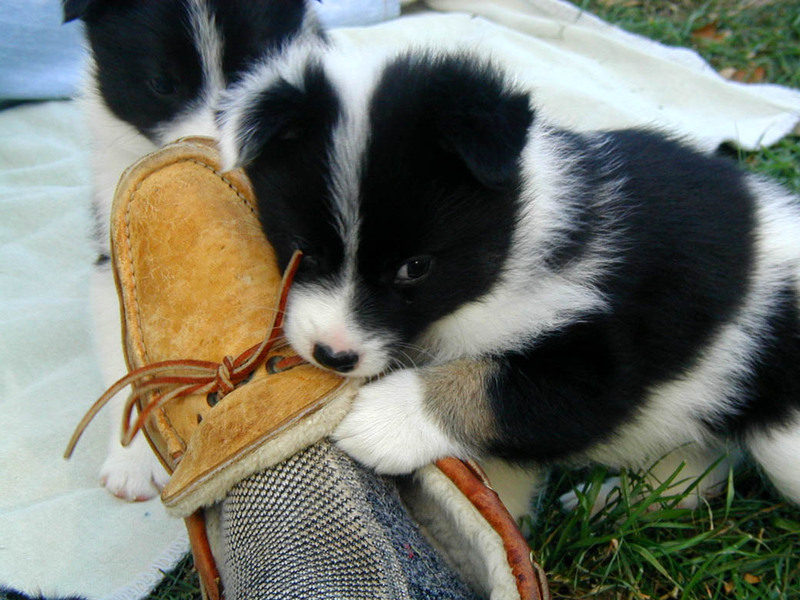 Sweet little innocent Orka isn't really chewing on my moccasin. ;-) ... my favorite little attack puppy!! !